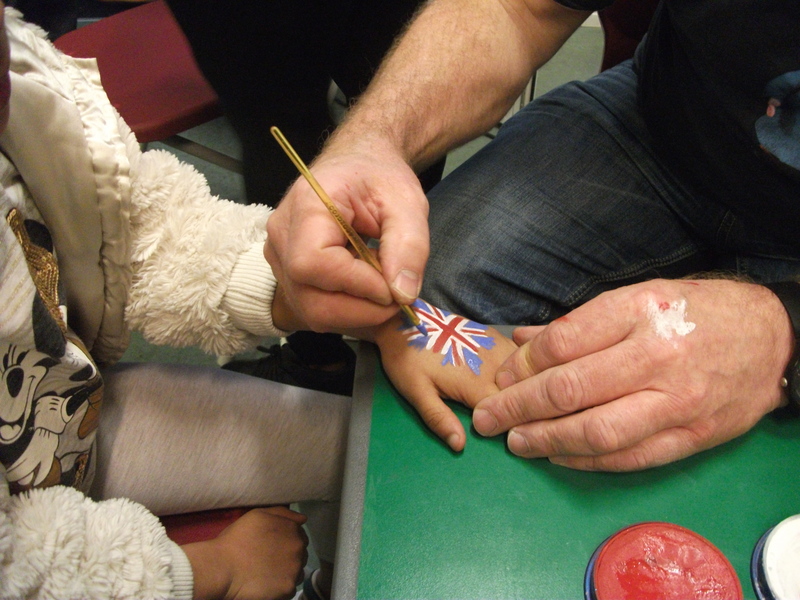 Five lucky children from year 5 were able to take part in film day (see previous blog). Following in the footsteps of Waltham Forest resident, Alfred Hitchcock, children from across central Walthamstow schools had the opportunity to work with film makers to script, act, film and sound record their own short film. On Wednesday evening Willowfield Humanities College hosted a Gala Film Night where staff, parents and children viewed premieres of the first films from the next generation of budding film makers. 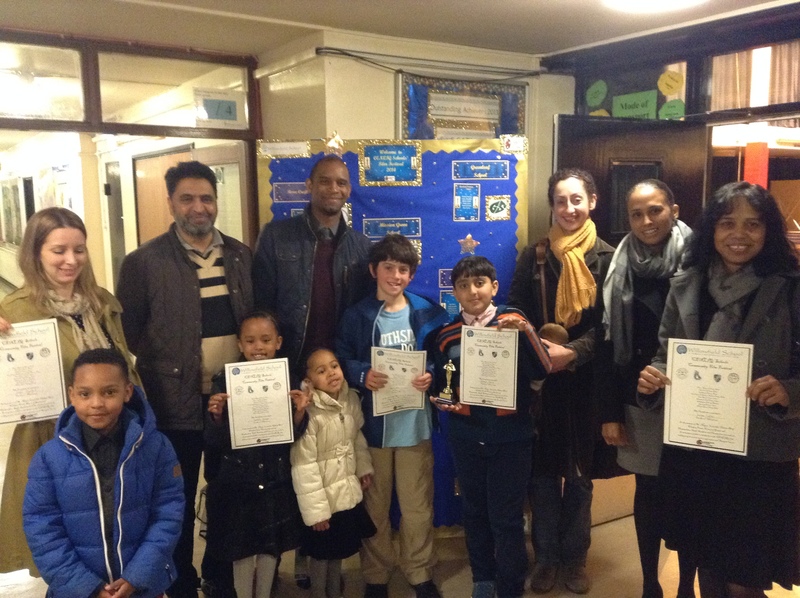 Well done Ahmed, Arthur, India, Niamh and Ramah for their contribution to the collaboration with Stoney Down and Mission Grove school. Our film won the award for best scripting! Thank you Ms Costa for all her work behind the camera, hosting the whole day and making all our visitors welcome. Having a lovely time in Roanne. Today we visited our partner school l’ecole Mulsant and saw their classrooms – they have blackboards and sit at desks in rows. There school has 154 children and 7 teachers, and their playground and classrooms are really big, but they don’t have fancy technology like iPads or Interactive Whiteboards. 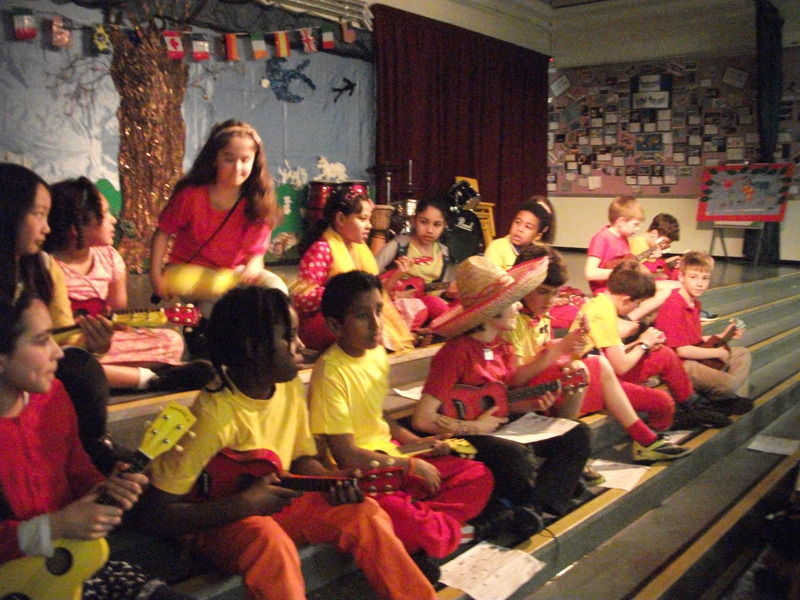 We also had a rehearsal for our concert on Thursday night – we will sing our water song along with the French children, who have learnt to sing it with perfect English pronunciation. 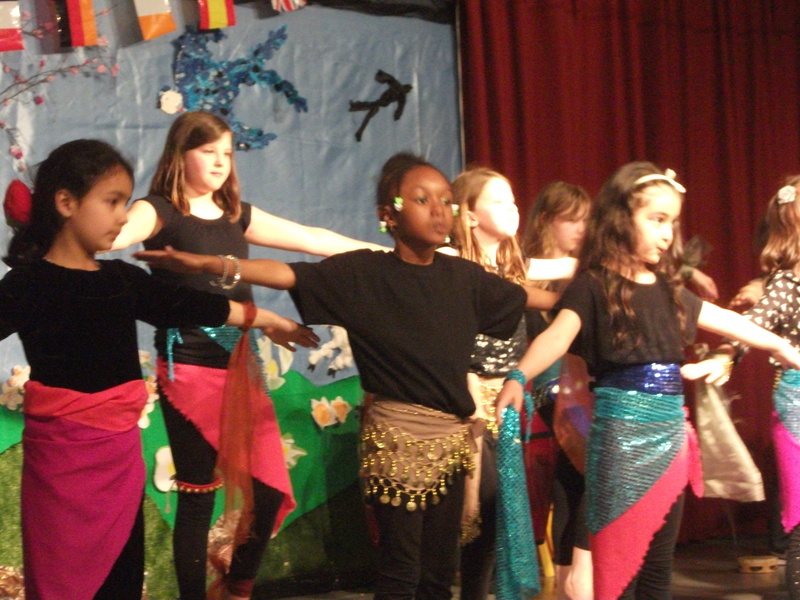 They have also learnt the Turkish, Spanish, and Italian songs – we were very impressed. 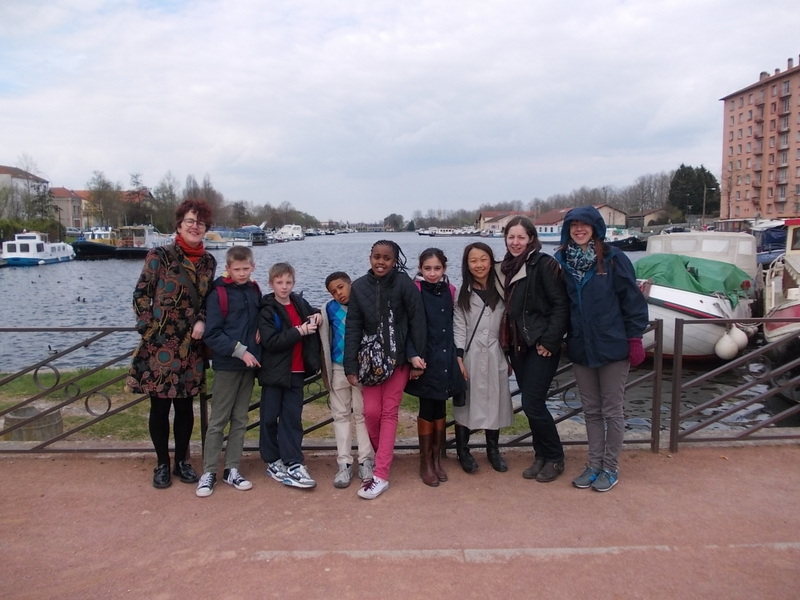 After that we went for a lovely long lunch, followed by a walk along the Loire river before our meeting with the Mayor. (Being asked to give a speech was a bit of a surprise for Miss Gilcreest). We headed back to our hotel for some pizza and an early night. Tomorrow we will get up at 6am for our day trip to Lyon by train. 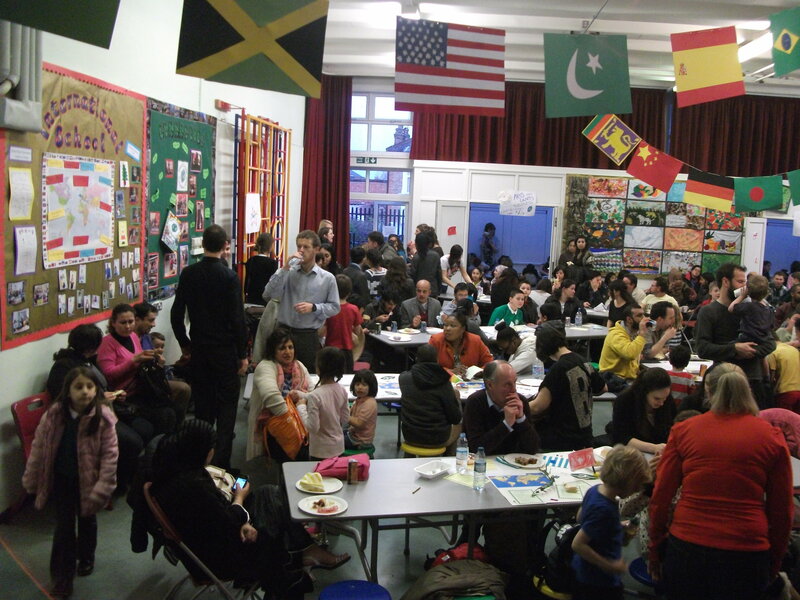 Green;eaf’s 5th Annual International Evening was an outstanding success with a fabulous time had by all! Visitors commented on the amazing community atmosphere and sense of enjoyment in the hall, which was a real delight to see. Sadly, there were not enough tickets to go around! We’ll have to see what we can do next year! A huge big thank you to the PTA for their great organising skills, which once again surpassed anything we could have hoped for. 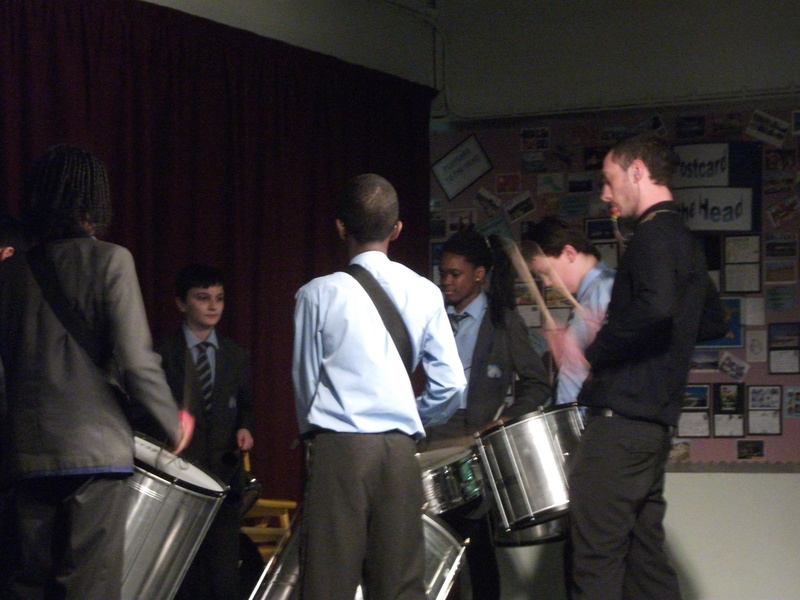 Thank you also to all the participants, including Walthamstow Academy Samba Band and to everyone who donated food for the event. 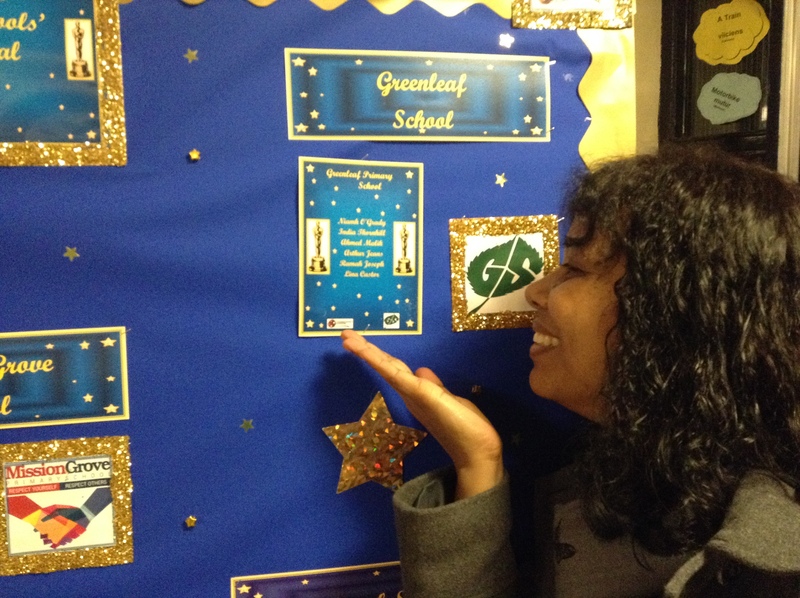 Greenleaf is well-known for its sporting achievements, but today changed Greenleaf forever! 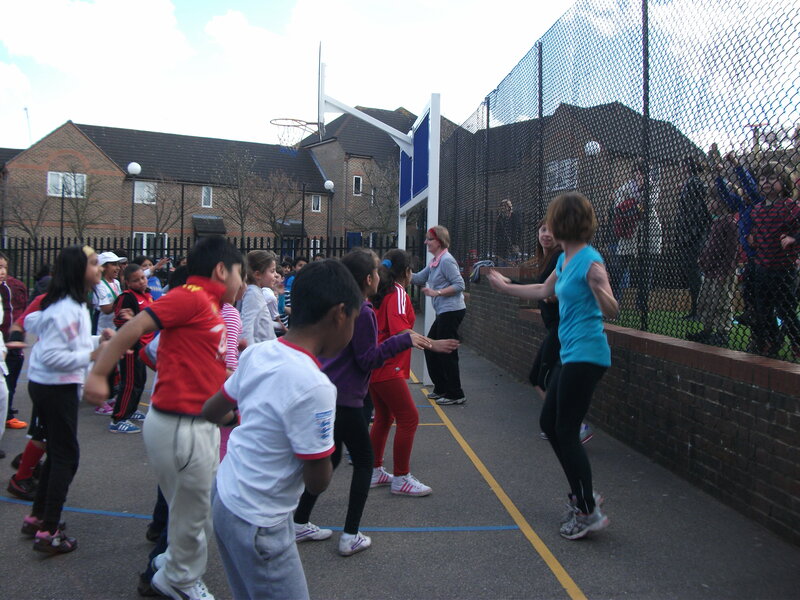 Mass aerobics – in the KS1 and KS2 playgrounds. 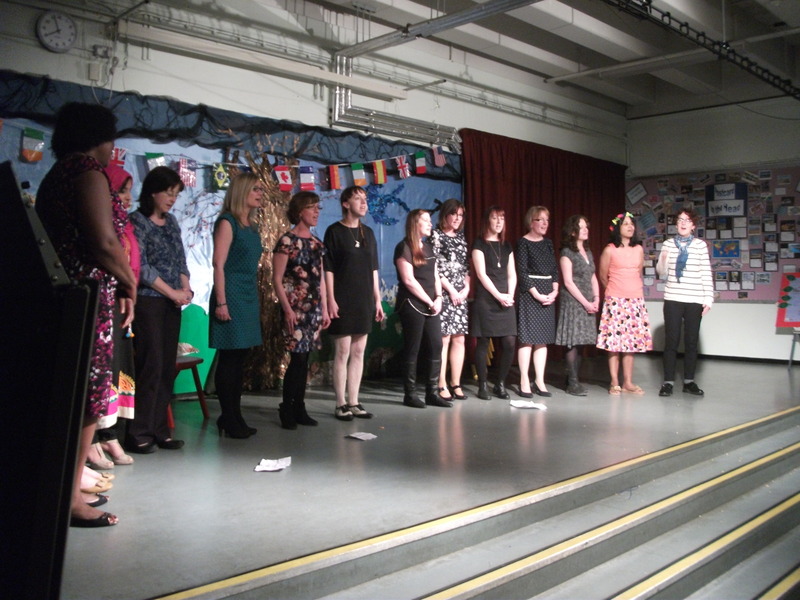 All staff and children – not to mention a few parents! – joined in with enthusiasm, sporting prowess (Mrs Soulard?) and great energy! 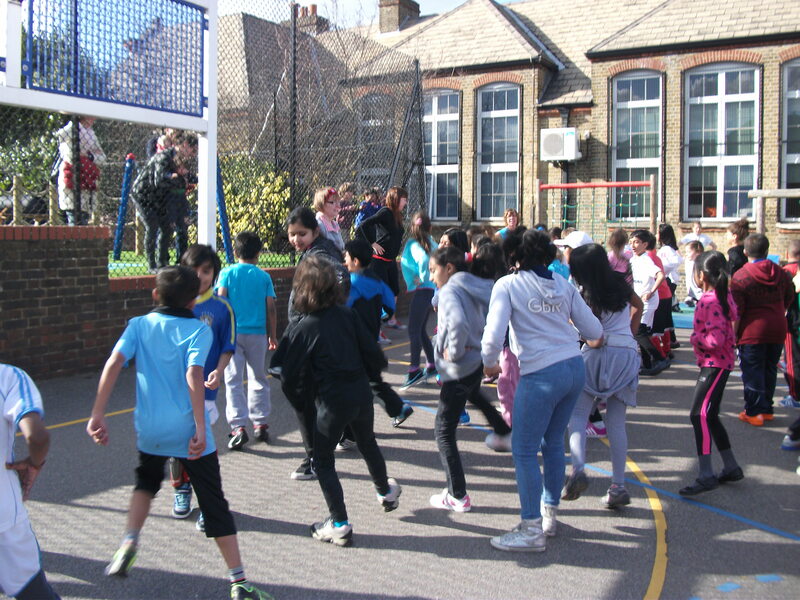 We had a fabulous time supporting Sports Relief and hope to have raised a significant amount of money in the bargain! Well done Greenleaf!